Property company Match recorded around $13 million in off-the-plan apartment sales from a single Fremantle-based apartment complex, M/28. 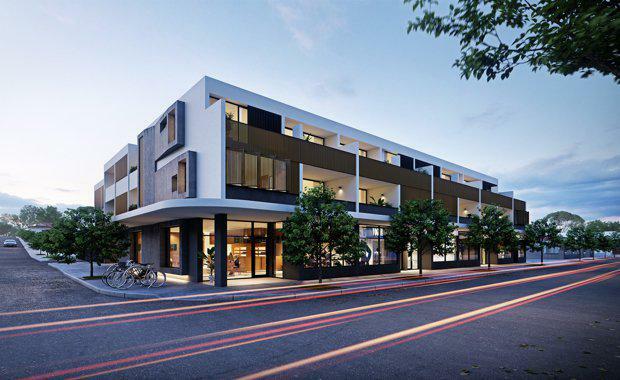 M/28 was built as a mixed-use complex comprising of 20 boutique apartments on the South Terrace coffee strip. The building was deliberately designed to present as understated with naturally inspired materials and palette, which takes inspiration from the Fremantle culture and nearby heritage-listed Seaview Hotel. Lloyd Clark, Managing Director of Match parent company, M/Group, said Match’s product was designed to speak to a specific market and therefore had the potential to cut through all market conditions. “Demand is established when you introduce product that is so unique to the area and attuned with the market, that it becomes highly sought after,” he said. “It was the right design in a tightly held location, and represents timeless value for both owner-occupiers and investors alike. "Mr Clark said M/28 was secured in the right location and put together by the right architects, which is a formula that pays off time and again, and withstands all kinds of market conditions. M/28’s exterior façade incorporates timber screens and a neutral palate, which is reflected in the lobby with feature timber ceilings and concrete-look finishes. The building design was led by Match in collaboration with architects David Barr Architects and Cameron Chisholm Nicol (CCN), and was designed to achieve a comparable 4-star Green Star rating. Match was also behind Fremantle’s Heirloom apartments, the heritage rejuvenation of the Dalgety wool stores that retained over 85% of the building's heritage fabric. Heirloom was completed late last year with Match having sold over 80% of apartments. The company’s most recent project was Tempo in South Beach Estate, which was designed to complement the natural ocean and park-side location. The property was designed for people wanting a statement residence in a key location. Construction on M/28 is scheduled to commence in mid-2017 with completion in late 2018.